It’s not easy to stay fit while on vacation—especially when the buffet and all-you-can-eat ice cream bar are calling. But there are ways to stay active even while traveling. We’ve compiled a few ways to keep moving, plus some fitness gear that’s easy to pack in your luggage. “Choose a destination that offers state-of-the-art equipment and facilities at your fingertips,” says David Erlich, Corporate Director of Spa, Fitness & Tennis at Sandals Resorts International. 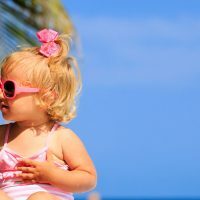 He explains that at Beaches Resorts, such as Beaches Turks & Caicos, families will have full access to expansive fitness centers as well as daily classes—all for no added charge. It’s easier to convince yourself to work out knowing that all your favorite machines are only a few steps away. 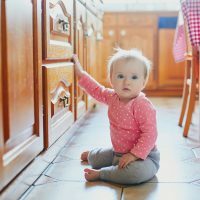 “While the rest of the family decides to sleep in, slip away for a race walk, hike, or use the gym at the hotel you are staying at,” suggests KJ Landis, a nutrition educator and Author and Creator of the Superior Self series. The key is doing this while the kids are sleeping, so it doesn’t disturb the regularly-planned activities. “The best way to fix exercise in when traveling is to schedule it ahead of time,” says Leon Turetsky, Corrective Exercise Specialist and founder of Backintelligence.com. 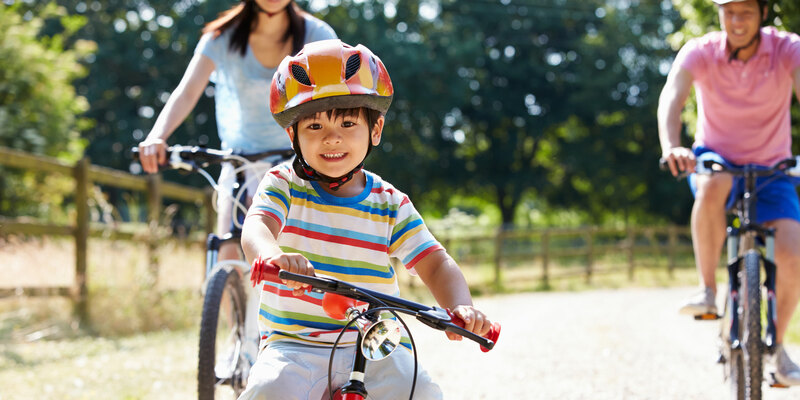 Just like you schedule your vacation activities (snorkel trips or horseback riding), you should schedule your exercise time. Whether that means looking at the schedule of classes the hotel offers or planning an activity—like a run with the kids—put exercise in the itinerary and you’ll be more likely to stick with it. “Pack exercise bands for a quick full body, in-hotel room workout,” says Franklin Antoian, personal trainer and founder of the online personal training website, iBodyFit.com. 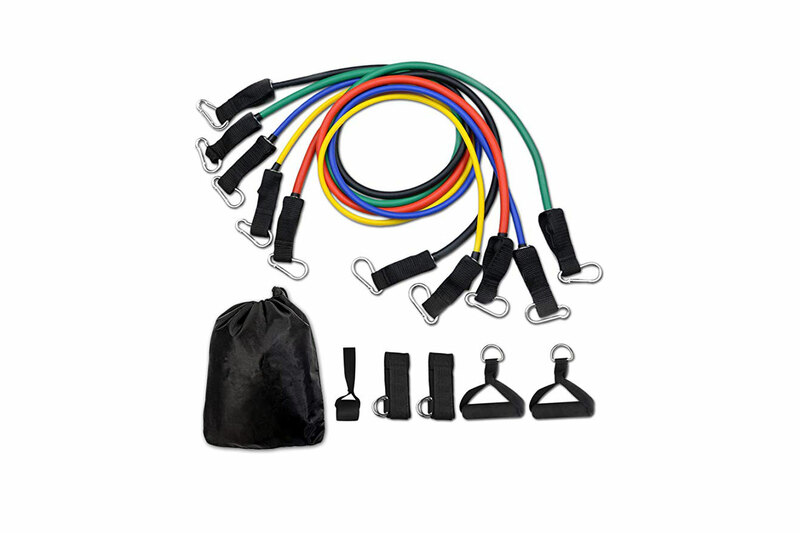 “Exercise bands are light and easy to use and travel with.”We like this 11 piece Resistance Band Set, which has five exercise bands, a door anchor, foam handles, ankle straps and a waterproof carrying case. It’s good for burning fat and increasing muscle strength while on the road. The bands range in intensity from what feels like 5 to 75 pounds. Sometimes you need a little direction or guidance to work out, especially if you’re away from your normal gym and routine. 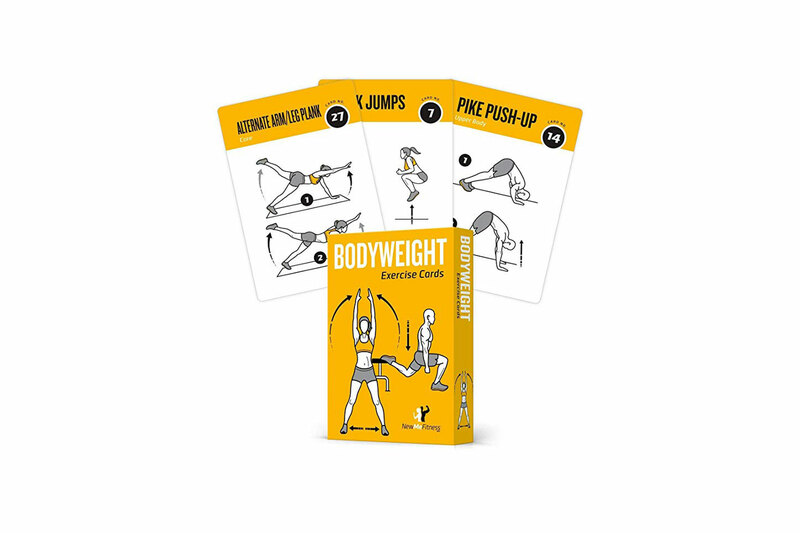 Enter exercise cards: it’s like flash cards for your daily workout. Shuffle the deck and choose from arm/leg planks, push-ups, jumps and many more. Plus, your kids can join in on the fun (it’s never too early to start developing their core). 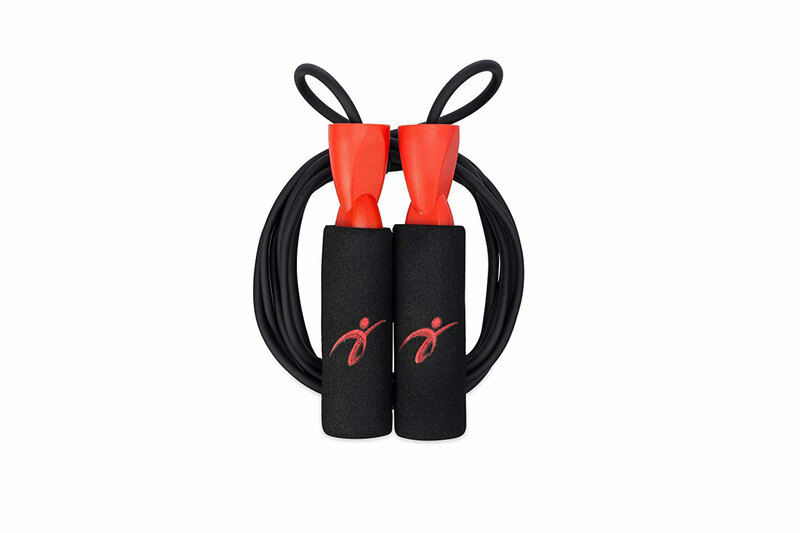 This inexpensive, lightweight tangle-resistance jump rope is a favorite for many because it has adjustable straps, a carrying pouch and ball-bearing handles. The comfort foam handles reduce pressure on the wrists, too. Plus, it’s good for both men and women of varying heights, ranging from 4’9″ to 6’6″. Sliding exercises are ideal for travel because it’s low impact on your joints, but good cardio activity. Plus, they’re super compact and easy to pack. 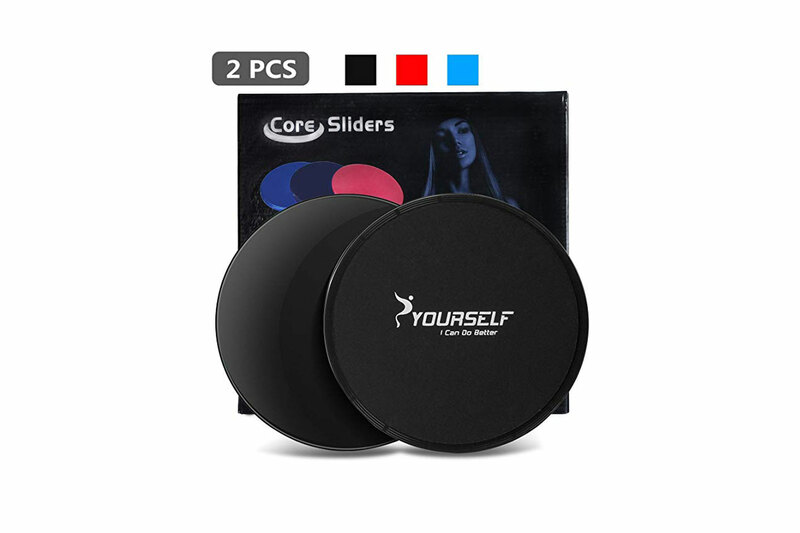 These two-piece discs work on carpet or hardwood floors and target the abs and core for an overall slimming workout. 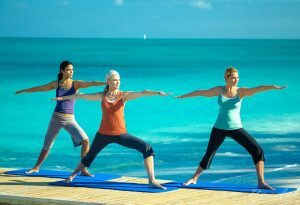 Yoga is one of the best exercises to do while traveling: people generally know the moves (or they can do a yoga workout with an app) and there’s minimal equipment needed: just a mat. 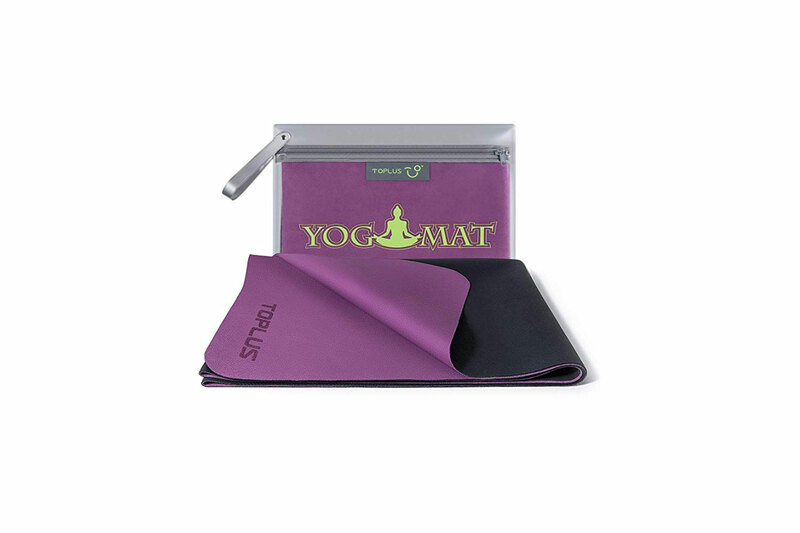 This super-thin foldable yoga mat is made with anti-slip material so it can be used for hot yoga, too. It’s lightweight and comes with its own carrying bag, plus it’s machine washable.